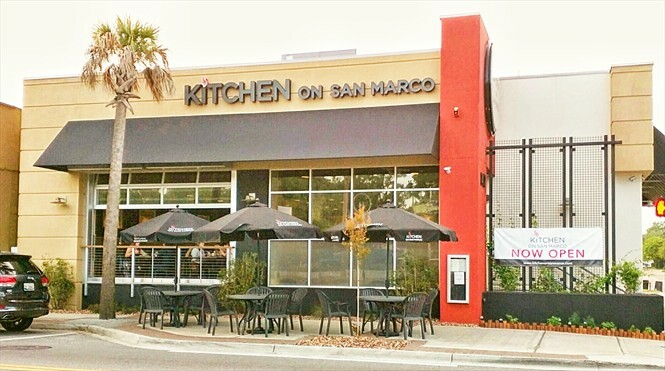 The Kitchen on San Marco is fast becoming a major player in Jacksonville’s dining landscape. In the past few months since they have opened, they have hosted several special dinners that feature innovative dishes paired with equally delicious beverages. The restaurant has also fully embraced the rapidly emerging craft beer scene here on the First Coast. Now, the Kitchen is hosting an event that will celebrate the Farm-to-Table movement and benefit local non-profit Sustainable Springfield. Featured in several dishes and served alongside them are locally-produced beer and mead. The menu, prepared by Kitchen on San Marco Executive Chef Ryan Randolph will feature locally sourced ingredients to highlight the diversity and high quality of products in and around Jacksonville. The evening’s pairings are to be provided by Carve Vodka, Aardwolf Brewery, Harris Meadery and Veterans United Brewery, Engine 15 Brewing Company and Funky Buddha Brewing Company. Whole Roasted Atlantic Fish — Celery root slaw with heirloom radish and pink lady apples served with a smoked Springfield honey dressing and house Dijon petite herbs. The Farm to Jax dinner takes place Saturday, October 3rd. Tickets are $75 and may be purchased at Eventbrite by following this link. A month or so ago, Black Sheep Restaurant tried to hold a unique beer dinner at their rooftop dining area. Unfortunately, Mother Nature had other plans and torrential rain forced the cancellation of the event. So, to make it up to those beer lovers who missed out, the restaurant has rescheduled the event for Wednesday, September 16 between 6:00 p.m. and 9:00 p.m. The concept: pit two legendary breweries against each other in a beer pairing throw down. The breweries: Tampa’s Cigar City Brewing and Southern California’s Stone Brewing. Created by Chef Waylon Rivers, the menu is an opulent mélange of surf and turf creations. Think ceviche, scallops and beef short ribs. Creative and exciting stuff. The beers will be presented by representatives of each brewery and are chosen to highlight the dish they are served alongside. Both Cigar City and Stone are known for their assertive and flavor-forward brews and for this shoot out, they have brought the big guns. Heady brews such as Stone Hifi Lowfi Blended Ale and Cigar City Seasonal Creep are featured prominently. In addition to the elaborate food to be served, the service itself is somewhat unique. Instead of a seated dinner, diners are encouraged to arrive when they feel like it anytime during the dinner’s hours. Dishes will be served reception style on diner’s time schedules, not in a rush as is often the case at beer dinners. Tickets for the event are $40 (not including tax and gratuity) and are available from the restaurant. Call (904) 380-3091 for more details and to purchase a ticket. 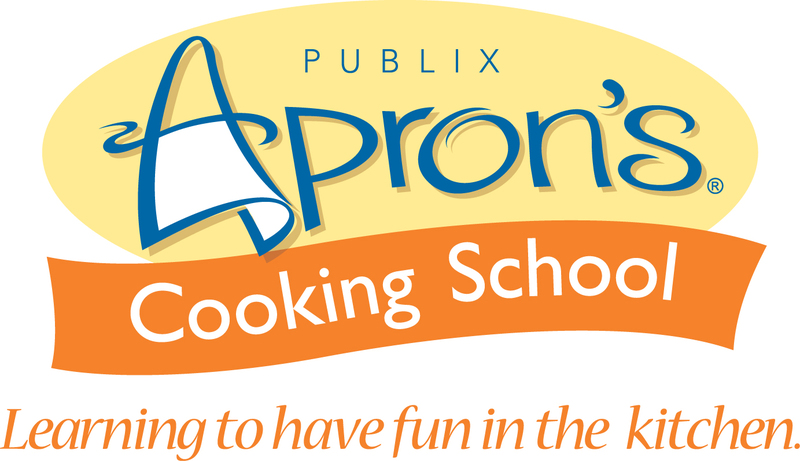 The cooking school inside the Publix Supermarket on San Jose in the Mandarin area of Jacksonville is the domain of Chef Tony Charbonnet. His passion for cooking can be seen on various television programs on WTLV-12 in Jacksonville as well as in front of his classroom multiple times a week. Over the past few years, the charismatic chef has been expanding the cooking school’s – Aprons – craft beer dinner program. And with good cause, the craft beer movement is showing no signs of slowing. On Saturday, August 29, Chef Tony welcomes Orange Blossom Brewing Company to his kitchen with a lineup of delicious dishes paired with equally scrumptious brews. 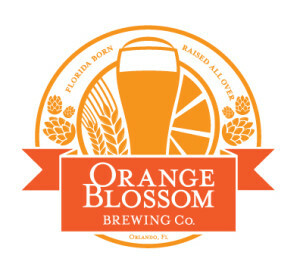 According to the brewery’s website, Orange Blossom Brewing Company originated as a homebrew project in the garage of founder Tom Moench. His love of beer led him to tinker with a recipe for an interesting pilsner that soon became the popular Orange Blossom Pilsner. Moench loved brewing and selling his unique, tasty brew so much that he sold his successful craft beer distributorship and took his prize-winning brew to the next level of production. After carefully laying out a plan for building his beer empire, Moench settled on South Carolina brewer Thomas Creek as the contract brewer for his three core brands. But, due to limited capacity, the search for a new facility became a necessity. When the Brew Hub in Lakeland, Fla. came on to the scene, Moench began discussions on taking his brewery from a contract model to a partnership model. With Brew Hubs all-in-one solution, the decision was made to transfer production to the facility in 2014. The dinner at Aprons will feature cooking demonstrations by Chef Tony and his team along with anecdotes from Moench about his brewery and beers. Chocolate Coconut Cheesecake paired with Toasted Coconut Porter. Tickets for the dinner are available by calling the Publix Aprons Cooking School at (904) 262-4187 and cost $45 per person. The sleepy little town of Fernandina Beach north of Jacksonville, Fla. has seen an uptick in interest lately among culinary circles. Sure, the area has been known to North Florida residents as a fun place to spend a summer afternoon at its eclectic bars and scattered eateries. It is also known as a place for a weekend of partying at the Isle of Seven Flags Shrimp Festival every year. But, aside from the posh restaurant at the nearby Ritz-Carlton, fine dining was something of a mystery to the area. 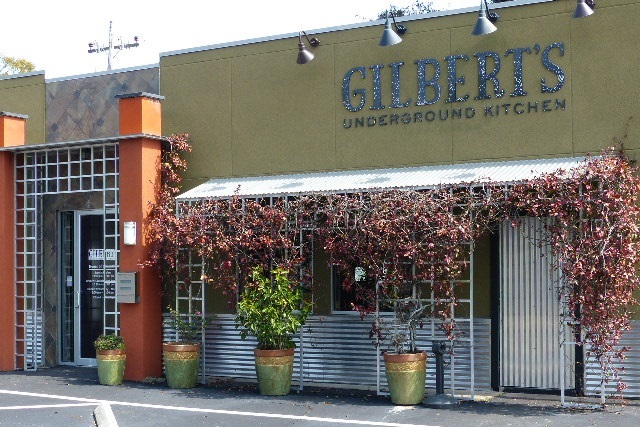 So, when Chef Kenny Gilbert opened his Gilbert’s Underground Kitchen in the historic town, it caused quite a stir. To celebrate his food as well as the burgeoning North Florida beer scene, Intuition Ale Works has teamed up Chef Gilbert to create a beer dinner that is sure to be as delicious as it is exciting. Gilbert, born and raised in Cleveland, Ohio, started early in his culinary career with the encouragement and help of both his mother and his father. From his mother Gilbert learned the basics of cooking; measuring, preparing and presenting dishes. From his father, he learned the art of BBQ from grilling to saucing. By age 11, the budding culinary virtuoso had cooked his first Thanksgiving dinner on his own to the delight of his proud parents. In high school he was known to cook meals for his swimming team after practices and meets. His cooking skills were lauded by all and it was no surprise when he expressed a desire to pursue cooking as a career. Later, the Chef designed and opened the Jacksonville Beach favorite, Nipper’s Beach Grill a Caribbean-inspired eatery. He was also a contestant on Bravo’s Top Chef television program. For the beer dinner with Intuition Ale Works, the chef worked to create a menu supremely satisfying Deep South-inspired fare. Paired with Intuition One Spark Kolsch. Paired with Intuition Riverside Red. Paired with Intuition Amber Block Skate Ale, infused with a surprise from the chef. Paired with Intuition Coffee Dark Star. Matthew Medure is something of a local legend in Jacksonville. As half of the famed Medure brothers restaurateur and chef dynasty, he and his brother David own Matthew’s and Medure’s fine dining restaurants as well as the popular M Shack burger joints. On Wednesday, July 22, Matthew will apply his talents to a beer dinner featuring the brews of Left Hand Brewing Company. The dinner will feature five courses and beers as well as a reception amuse bouche and beer. The menu and pairings run the gamut from light seafood to decadently rich. Below is the full menu as supplied by Carolyn Graham of Brown Distributing, Lefft Hand’s local distributor. Sausage and Puff Pastry with Local Honey Mustard, paired with Polestar Pils. Scallop Carpaccio with Summer Melon and Cilantro, paired with Good Juju. Chinese Sausage and Crispy Jasmine Rice with Curry Aioli Lettuce Wraps paired with Introvert Session IPA. Braised Pork Belly with Steamed Bao and Pickled Vegetables pained with 400 lb. Monkey IPA. Smoked Beef Brisket with Foie Gras Mole and Mexican Corn paired with Milk Stout and Nitro Milk Stout. Malted Vanilla with Chocolate Mousse, Banana and Smoked, Salted Caramel paired with Black Jack Porter. Tickets for the dinner are $75 per person. 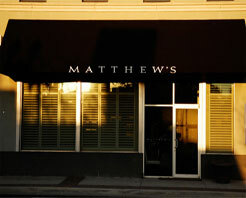 Contact Matthew’s at (904) 396-9922 or via their website — www.matthewsrestaurant.com — for more details. Kitchen on San Marco (KOSM), as I reported here earlier , takes both beer and food seriously. And, in what promises to be one of the first of many beer dinners, KOSM and Cigar City are teaming up to bring beer-lovers a dream night of beer and food pairings. While the food menu is still in development, the beer list is impressive. The dinner takes place on Tuesday, June 23. A total of only 30 tickets are available for $64.20, tax inclusive. Tickets may be purchased at KOSM or by calling 904-396-2344.